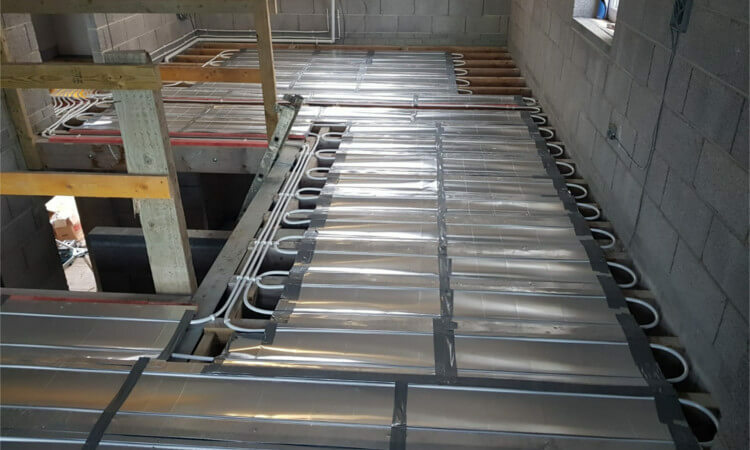 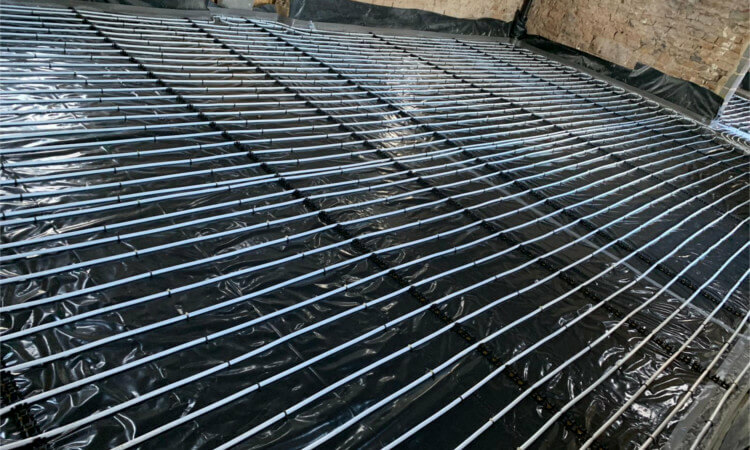 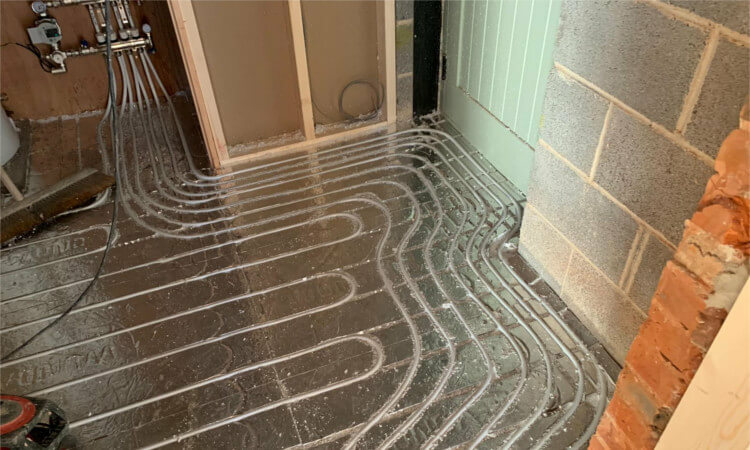 Warm water underfloor heating systems use low temperature water that circulates through a series of continuous pipe loops laid under the floor turning the floor into one large radiant surface. 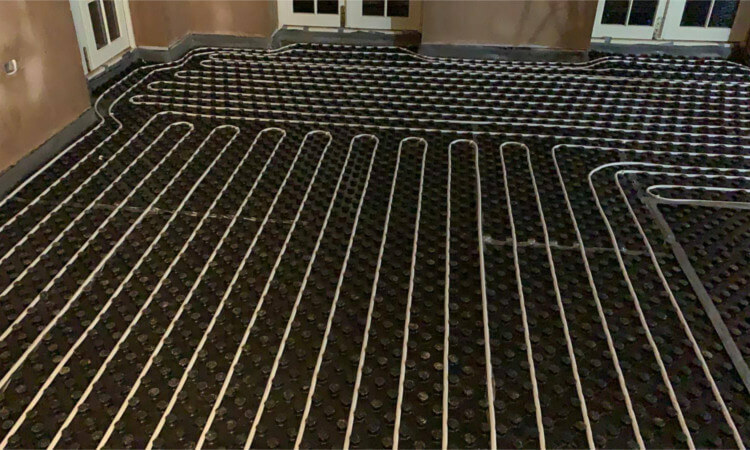 Heating the room from the floor up and using lower water temperature than conventional radiators provides more efficient heating at reduced running costs. 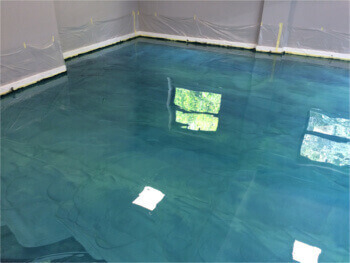 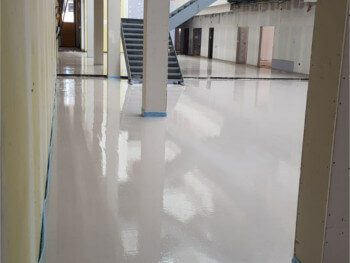 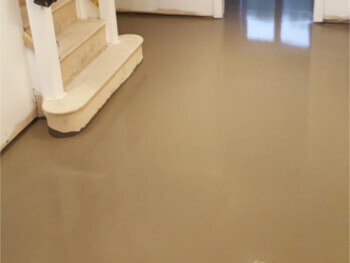 Ascus Screeding can provide underfloor heating for almost all floor construction types and can combine the underfloor heating with screed and insulation to provide the best efficient heating system for your property. 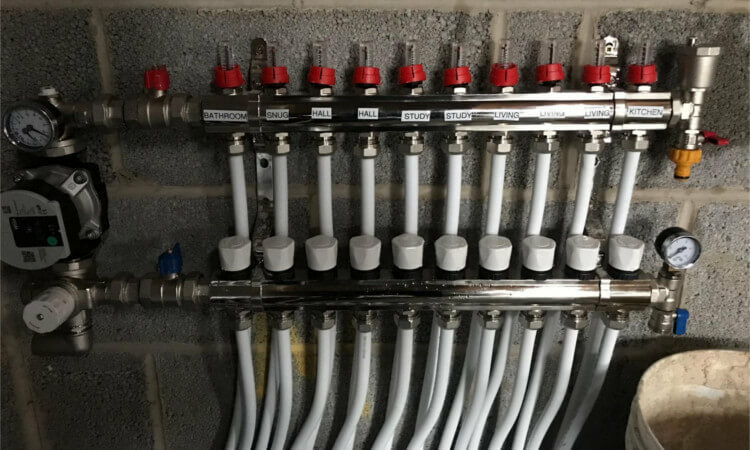 Our full start to finish flooring service also includes all electrical and manifold water controls for you underfloor heating system. 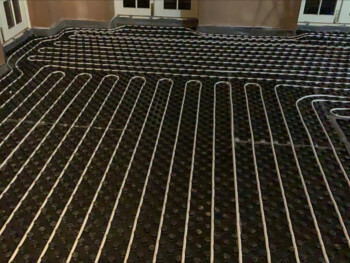 With various types of different floor construction used throughout properties in the UK it is important to select the correct underfloor heating construction required. 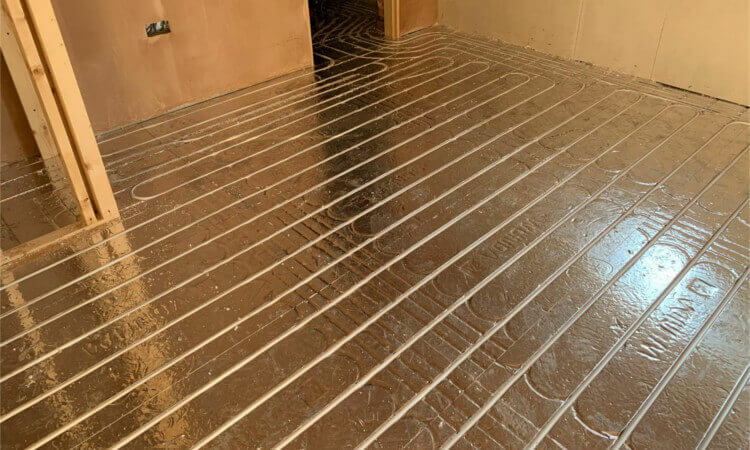 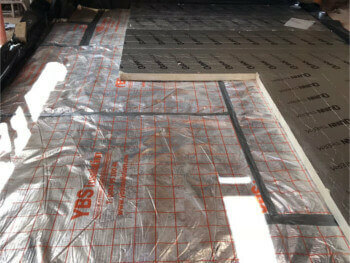 Underfloor heating can be combined with a screed floor, standard joist floors, Polystyrene overlay over pre-existing concrete floors, joists with diffuser plates, battened floors and more. 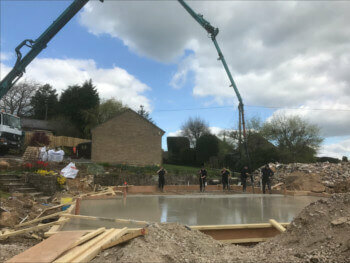 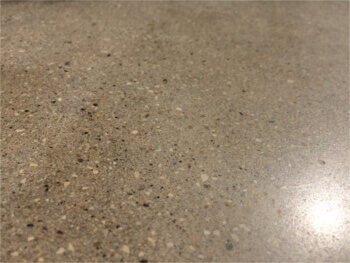 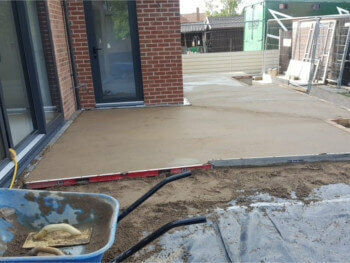 To understand the correct solution for your project contact Ascus Screeding and we will be able to advise.